The literal translation of the Latin term panaricium — whitlow. This term is now designated acute purulent inflammation of the tissues of the finger. Finger with the swells, the skin gets its pinkish-red hue, there is a nagging, recurring pain, deprived of sleep. Sometimes the temperature rises, the skin ulcer is seen covered with a thin film. As a rule, felon is a consequence of the small wounds, abrasions on the skin of a finger or the nail bed. Infection (usually streptococci and staphylococci) penetrates through a small wound. Depending on where the inflammatory process develops, distinguish skin, nail, subcutaneous, tendon, bone and articular disease form. Most often, subcutaneous felon terminal phalanx. How does a felon, and what is its danger? In order to more clearly present, as there is an unpleasant illness and what is its danger, it is necessary to consider the anatomy of the human hand brush. Why does the infection, inscribed with a needle prick or a thorn under the skin, can lead to severe complications up to amputation of fingers? The fact that the palm of the hand is quite a thick layer of subcutaneous tissue permeated with fibrous bundles, which end in the phalanges. Therefore, subcutaneous tissue pulp finger has a honeycomb structure. If the wound becomes infected or a scratch, it will spread vertically, in depth, the direction of the tendons, joints or bones. Each tendon is surrounded by a thin, dense shell — tendon sheath. It can also develop inflammation. The tendon sheath of the thumb and little finger, continuing on his forearm, communicate with each other. That’s why sometimes the inflammatory process with the thumb extended to the little finger. On the 2nd, 3rd and 4th fingers it does not happen, their tendon sheath end in blind bags. In places where there are joints, ligaments are thinner, which is why with festering tumor of tendon sheath appears primarily in the joints. Exudate accumulates, first serous, purulent and then, compresses the blood vessels that feed the tendon, and it comes necrosis. If you do not take the necessary therapeutic measures for 36-48 hours, then the finger function can not save. If the inflammation goes on subcutaneous fat brush, it may be one of the severe complications felon — abscess when blood vessels are clogged purulent thrombi and there is a threat of gangrene — necrosis individual phalanges. In advanced cases, to save the life of the patient, sometimes resort to at least — the amputation of fingers. Such are the serious consequences may cause small wound, scratch or regular barb! Treatment purulent felon step consists in applying moist heat. • Pin is lowered to the maximum hot water in which is dissolved salt and baking soda (approximately 3-5% solution). The procedure was repeated for 10-15 minutes every hour, only 2-4 times. • Between finger hot tubs or treated with an alcohol solution Dimexidum (30-50%). Then impose on the finger wipe with diluted ethyl alcohol and put on a rubber fingertip. If there is pus, the felon from this treatment takes place in a few hours. At the beginning of suppuration need other tools to help ripen the abscess and pus to go out. 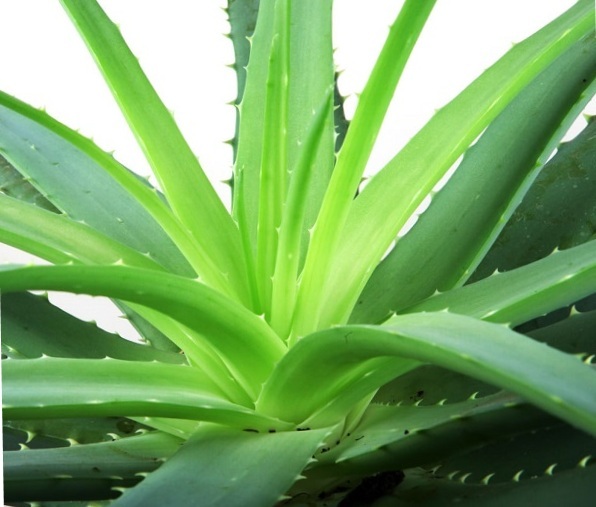 • When panaritiums effective aloe leaves. Fleshy leaves washed, cut in half, to make pulp to the wound, carry out this procedure at night. • One of the most effective ways to treat felon is the treatment of onions. It should be clear from the husk of a medium-sized onion, then it needs to be cut into two halves and bake in the oven. As a result, it should be soft. Or you can cook the onion in the milk, put it on the abscess and tightly bandaged finger using a bandage. Therapeutic bandage needs to be changed every 5 hours. « ﻿Secrets of Aphrodite.This amazing birch tar.